Buffalo Girls - Theatrical Trailer from Buffalogirlsthemovie on Vimeo. 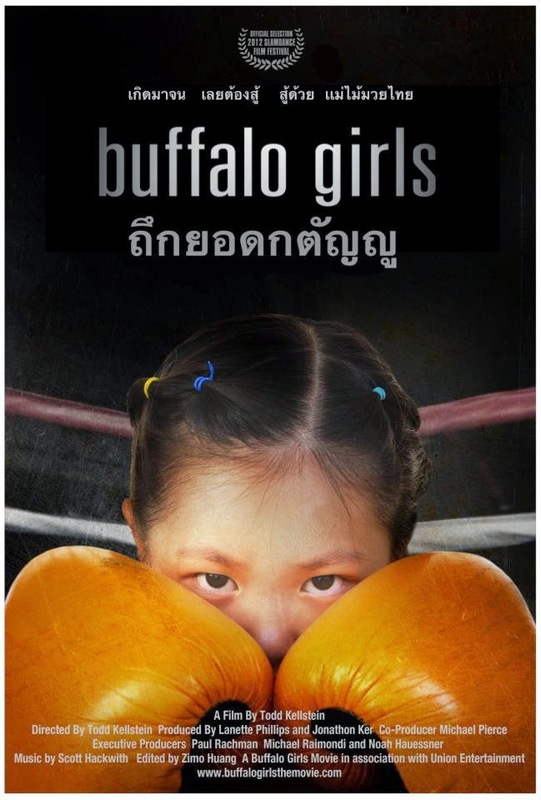 Described as "an unflinching look at Thailand's underground world of child boxers" Buffalo Girls is not a film you can forget easily, or even watch easily. 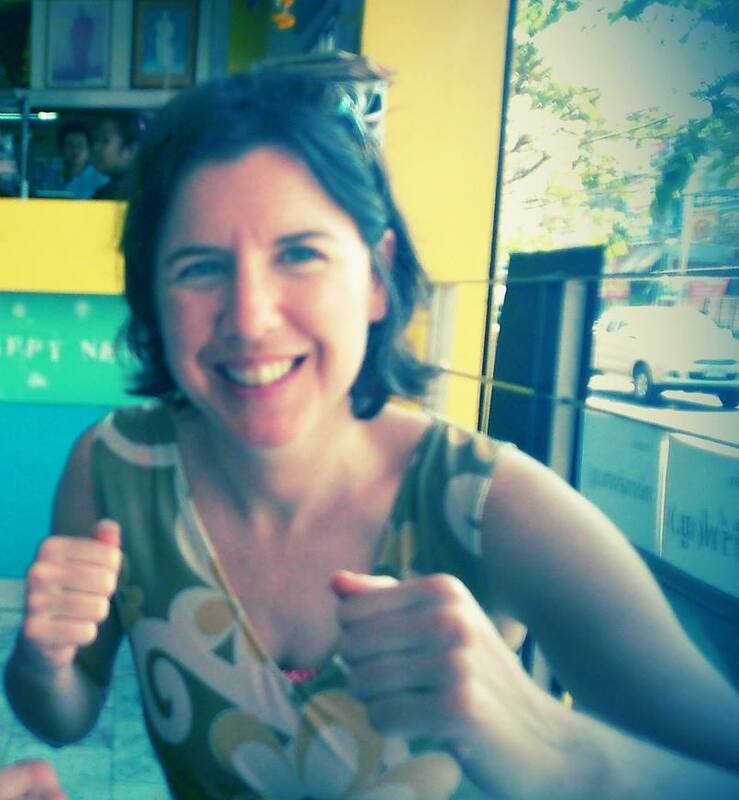 I have mixed reactions, reactions conditioned by spending much of my adult life loving MuayThai, fighting it, talking it and watching it shape our lives. The opening shot of a yawning ricefield says it all for me. 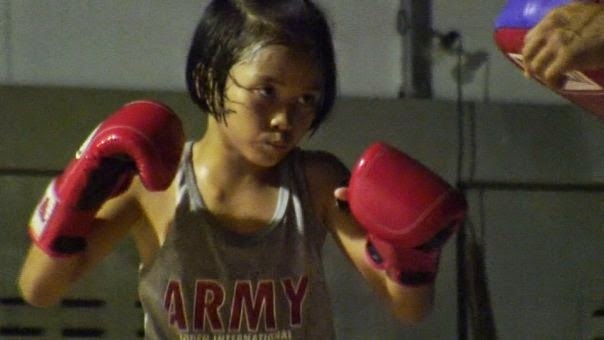 This is why the vast majority of Thais take part in their national sport - to make a living. It's akin to how soccer transforms the dour housing estates of Northern England or the favelas of Sao Paulo - but more painful, more brutal and yet somehow more beautiful too. When Stam says: "I want lots of money", you could take those words and put them into any fighter's mouth. It's a living pure and simple. That's why so many Thai kids fight, run before school, train after school (usually after running back to the gym from school, all while wearing their brown plimsolls). And inevitably leave school early to fight and train. That's not to say fighters aren't proud of what they do, and love their sport. They just love that it pays the rent and puts rice on the table as well. So when I see these girls fight, I smile and am weirdly proud they get to put that rice out for their families. But it also makes me angry - Thailand's military goverment says the economy is avoiding recession, that the worst is over. But if the worst is over, why are these girls or girls like them still fighting today not competing for fun or simply to represent their school? They break arms, they break legs; one of the trainers drops this casually into the narrative. Of course they do, these are trained fighters. In a way they're not two children anymore, they're more adult than the grown men betting around them. Except without the betting, they would just be two kids in a ring. Without the paycheck and the 'side bets', they wouldn't need to lift weights or pound out the kicks till they drop. That way winning wouldn't be the difference between paying the rent or not. What depth of poverty convinces parents to send their child out to work? I worry in the excitement of seeing how talented these girls are, we forget what's really happening here. Links on Buffalo Girls The Movie to watch the full film. And thanks to blogger/ fighter Emma Thomas for her list of MuayThai documentaries on her blog Under the Ropes which reminded me of this.